The Collab Blog: 100% 1:1! 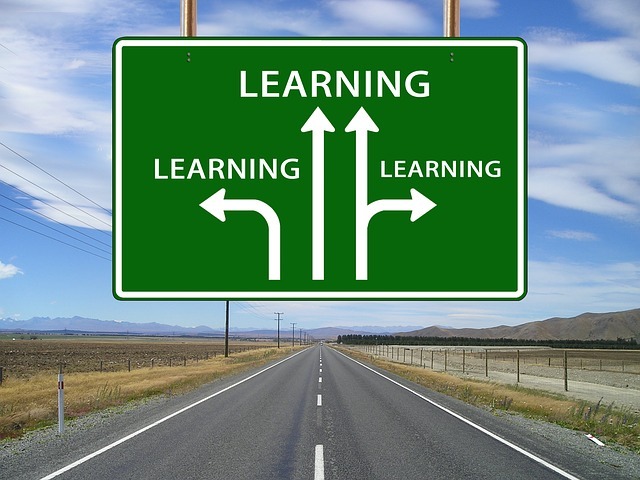 Multiplying Learning for All: How We Make It Happen. 100% 1:1! 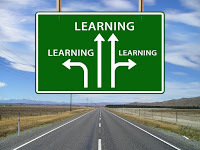 Multiplying Learning for All: How We Make It Happen. 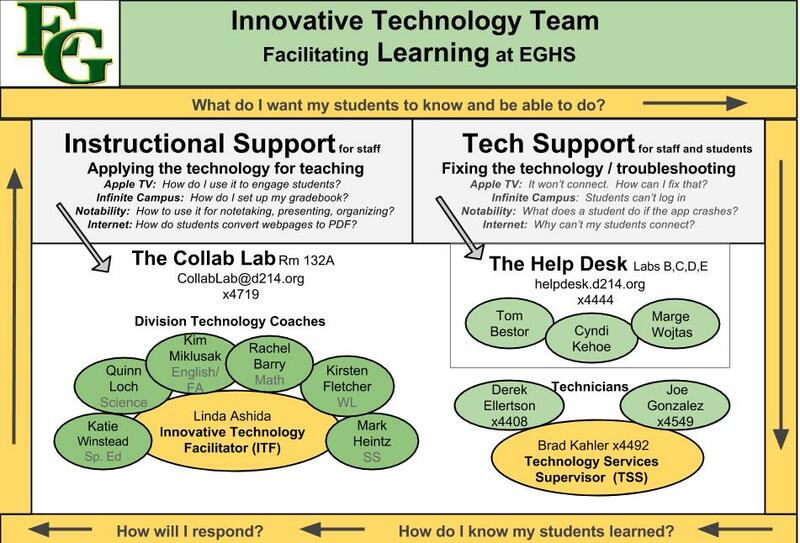 At the start of this 2015-16 school year Elk Grove High School, and all District 214 schools, will transition to a 100% 1:1 learning environment. Every student will have an iPad! Access and Opportunity for All! 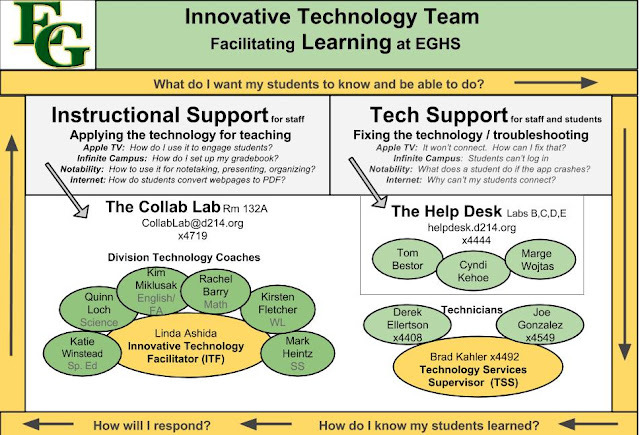 2) Teacher-led professional learning facilitated by our Collab Lab team. We provide daily opportunities for personalized, differentiated and job-embedded professional learning. Our goal is to explore all of the ways that we can connect, learn and share our learning within and across disciplines. 3) Curate and share examples of our work to multiply our learning. 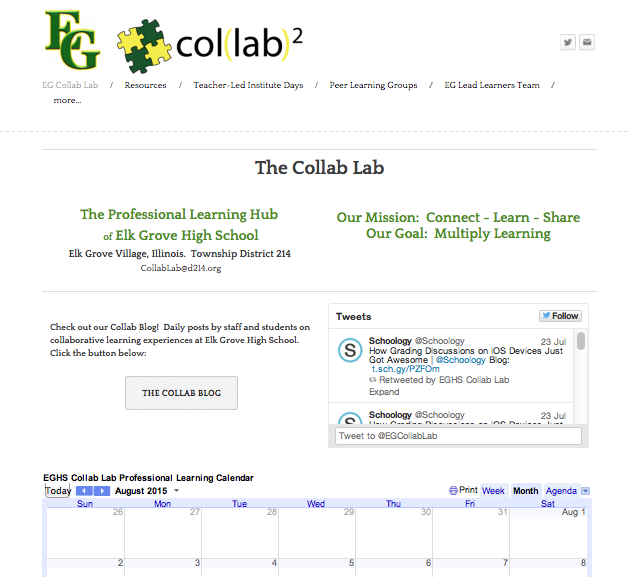 We do that via our Collab Lab Resource Hub, which includes our Collab Blog with daily posts by staff and students, our Twitter feed, and our shared professional learning calendar. We also encourage staff to connect, learn and share via Twitter. To facilitate the connection of Elk Grove staff with each other we use an Elk Grove Twitter List. 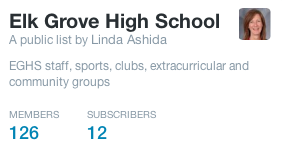 Staff can subscribe to the list and easily follow all of their colleagues and school clubs and sports. 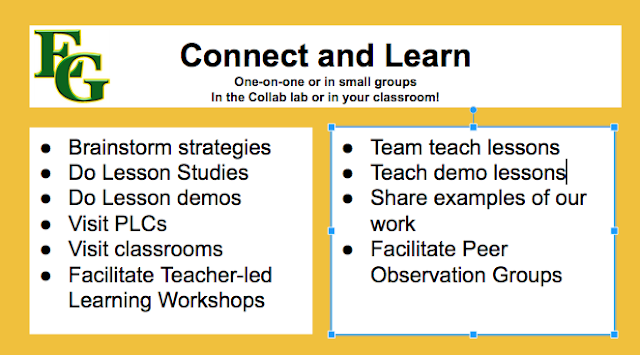 For more on using Twitter lists for professional learning, check out this previous Collab Blog post. Do you have ideas, suggestions, or resources to share? We'd love to hear from you! Leave us a comment below!